If you live with an elderly relative who has a hard time hearing, it can be pretty frustrating to try to effectively communicate with them because they cannot hear what you are saying. Unfortunately, senior citizens are commonly resistant to the idea of getting hearing aids at all, which means no matter how much you tell them they need to see an ENT specialist, they may not hear it. This resistance most often comes from some pretty common misconceptions the older population tends to have about hearing aids. If you want to truly convince your elderly relative to see about getting hearing aids, it is a good idea to help them get the misconceptions out of the way first. Misconception: Everyone will be able to see the hearing aid. Fact: Large hearing aids are still available, but these types of devices are usually reserved for specific types of hearing loss, not usually that which is associated with aging. If your elderly loved one has this concern, let them know that most modern hearing aids are small and discreet in size, with even the processor (if separate) being small enough to hide easily behind the ear. Pull up some images online and allow them to take a look. 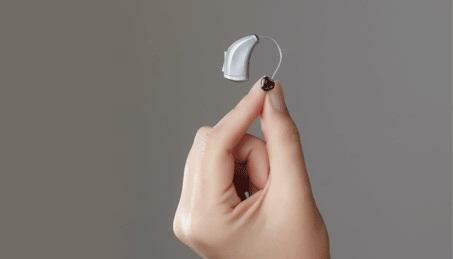 Misconception: Hearing aids are just uncomfortable to wear. Fact: If you slip a modern hearing aid into the ear canal, you will hardly notice there is anything there at all. Most are made of soft, flexible silicone materials that are not at all rigid or hard. In fact, the exterior of some models will flex to conform somewhat to the shape of the ear canal, which essentially makes them feel like a part of the ear. Misconception: If you are wearing hearing aids, you will have to deal with a lot of feedback noise. Fact: Outdated hearing aids were pretty well-known for causing feedback and interference when they came in contact with things like radio-controlled devices or pretty much any device that used a frequency channel through radio waves to perform a function. However, modern hearing aids are much more efficient and advanced in their design, so feedback will rarely ever be an issue. After eliminating some of the misconceptions, you may find that your loved one is more willing to consider hearing aids. Talk to an ENT specialist like Mark Montgomery MD FACS or audiologist in your area for more advice or to get an appointment for a hearing test.